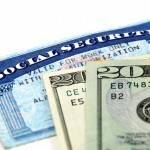 One of the best features of Social Security is the annual cost of living adjustment or COLA. The COLA was created to help seniors keep up with rising costs. This is especially helpful to retirees who depend on Social Security for the majority of their income (note: according to the Social Security Administration, retirement benefits make up at least half the income for approximately two-thirds of the people collecting Social Security, and 90 percent of the income for at least one third of Americans receiving benefits). The COLA has averaged 2.65% since 1990. Unfortunately, the SSA recently announced that there will not be an increase in benefits in 2016. This is only the third time in 40 years that there has not been a COLA. You may be wondering how there can be no COLA when the cost of food, housing and medical care (the top expenses for retirees) keeps going up. The COLA is based on the CPI-W, which is a measure of a basket of goods consumed by workers. One of the top expenses in this measure is the cost of transportation. Since the cost of oil was down in 2015, the overall index was down in the third quarter – the quarter used to determine the COLA for the next year. Many argue that the CPI-W is not an adequate measure of retirees expenses (after all, transportation costs generally go down significantly once you retire) and should not be used to calculate annual cost of living increases for Social Security benefits. While this may be true, unfortunately, it’s the measure that is required under current law. To make matters worse, the SSA is warning to expect large increases in Medicare premiums (up to 52% higher) unless Congress acts soon. The only silver lining is that people who are already receiving Social Security cannot have their benefits reduced by rising Medicare premiums. This is known as the hold harmless rule. The inflation protection that Social Security provides to seniors is very valuable. Unless you are a teacher or government employee, there is no other benefit that increases as your living expenses increase. For this reason, I generally encourage people to maximize their benefits as much as possible. This typically means delaying your benefits as long as possible and implementing spousal and other filing strategies as appropriate. However, if you are planning on applying for Social Security in the next few months, it might make sense to apply for benefits now so that you will be considered an enrollee for Medicare before premiums go up. Your goal should be to maximize your Social Security as much as possible, so please don’t apply early just to avoid the Medicare premium increase, but if you were planning on starting Social Security in early 2016 anyway, applying a few months early could save you up to $600 in Medicare premiums in 2016.